I love the trend of colour blocking! 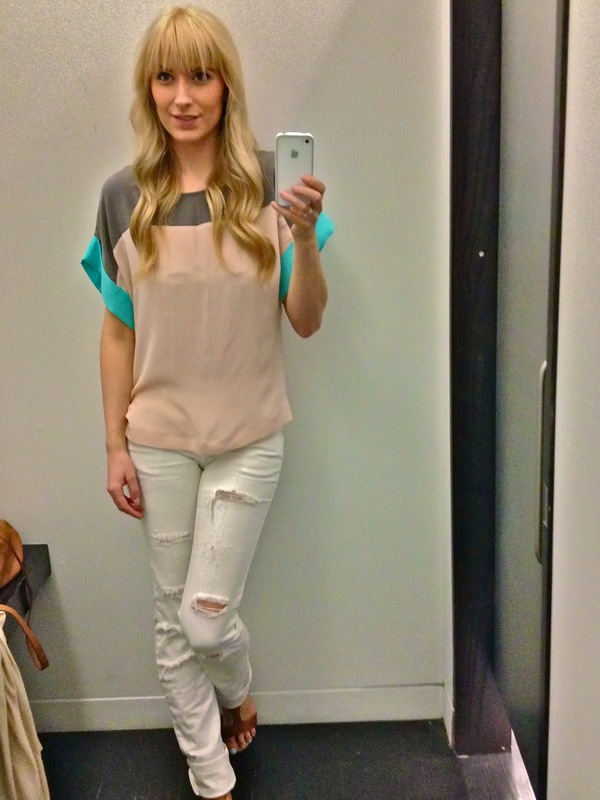 This blouse I liked because it used a pastel pink and a bright blue plus a dark grey. Usually I colour block with all just pastels or just all brights so this top made me re-think my colour blocking options! Our skinny jeans and leggings have definitely taken over our day to day wardrobe. So much that it's hard now to adjust to our pants being anything but. However trends begin to change and we must accept them and no I'm not saying you have to retire your favourite skinnies but be open to incorporating new styles into your look. Take these wide leg trousers - they are INCREDIBLE and polar opposite of leggings. They are so light and airy, perfect for warmer months! I actually love this outfit a lot. 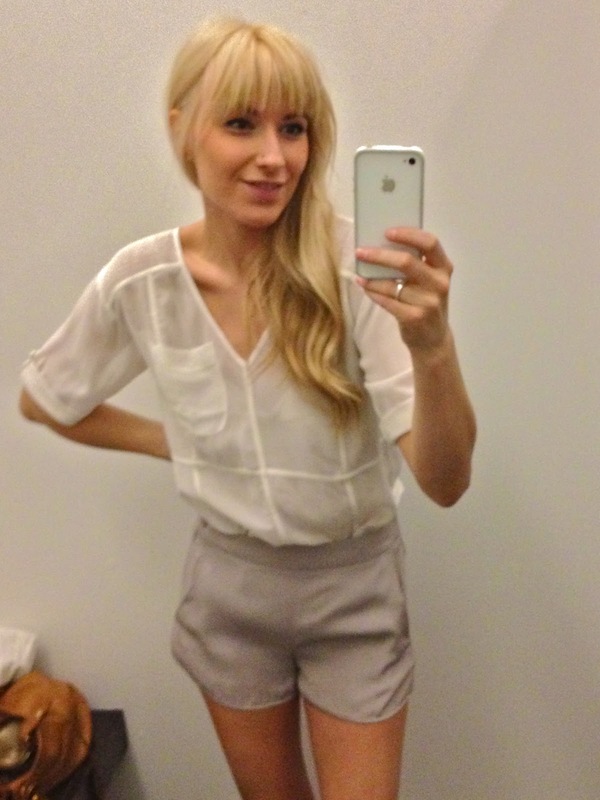 These soft lavender silk shorts would be great for any event in the summer dressed up a tad. Here I've paired it with this semi sheer white blouse to keep the look delicate. The lines create an interesting appeal over just another white blouse hanging in your closet. I kinda really like playing around with metallics. The pinky/purple with a silver sheen to it is actually quite subtle and gives you a lot of options to explore for your overall look. 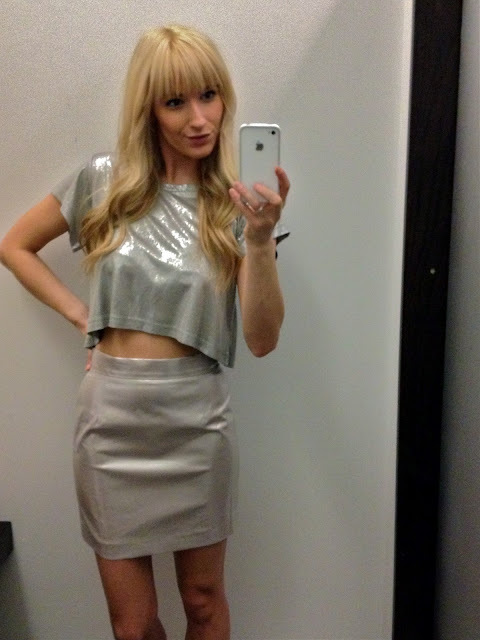 Here I went all out and paired it with this silver crop top. It keeps it more playful but the skirt can be dressed up on the fancier side where the top can be worn in a more edgy look. Whatever the way these pieces will make you shine! 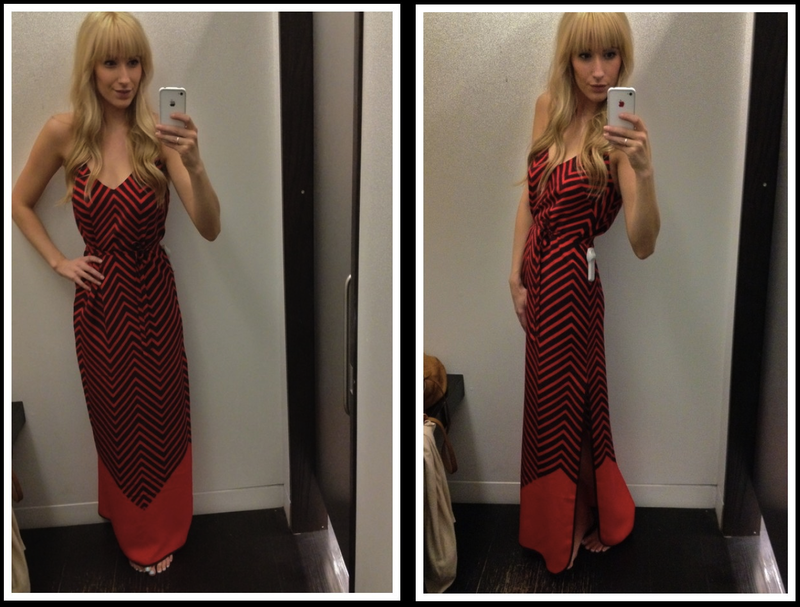 How adorable is this dress? First thing to point out is that yellow and cream look AMAZING together. It really softens the look from being so vibrant if it were all yellow. Again you can't go wrong with some good stripes for the summer and I love the pleats in the skirt. Sheer long skirts with a mini hidden underneath is a popular look and I like that it's done in a dress here. This would be a great option if you have any summer weddings to attend! Great looks. Love how you styled the the wide leg pants outfit. 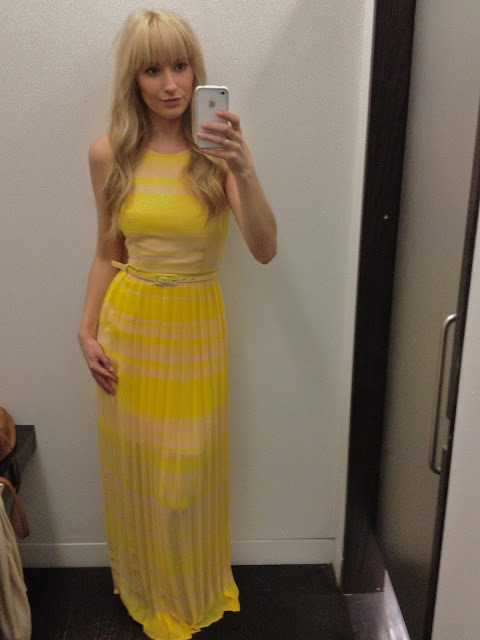 That yellow dress is amazing. Hope you bought it! I love your hair!! How do you make those waves? What size curling iron do you use?